Look for a photographer who has many years of expertise in the field. Something that trained and experienced Kansas City newborn photographers will know is that some poses are composites and should not be attempted without a hand for support. Composites are multiple pictures put together in photoshop to create one image. 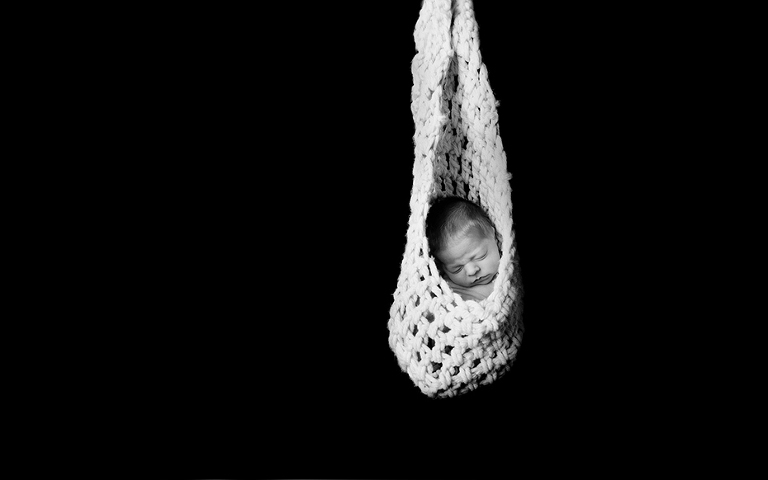 This way, the baby is always safe and supported, while in the final image it appears as if he/she is propping up their head or hanging from a hammock. Babies should not hang in something they can fall out of. Dad’s hand was supporting baby from underneath with the shot just one inch over a 5-foot wide bean bag. It was combined with an image of the hammock with no baby in it. While baby is leaning back, he could startle, so we want him to be secure. Babies should also not be propped up on their own weight. They can jerk and even though they aren’t able to “fall” out of a prop, you don’t want their head to jerk. Baby heads are delicate. The head jerking with force is what happens with “Shaken Baby Syndrome”. While highly unlikely during a newborn session, we don’t take a chance. Their head should not be able to drop to the side even a few inches. There is some body weight balancing occurring in the second image, so mom’s fingers were behind his head at all times. Safety first! With over ten years of experience, newborn safety is my priority. I will never put a baby in a pose they are not comfortable in and prefer natural poses for the majority of the session duration. The Kansas City newborn photographers you are looking at have cute props, but are their images in focus? Meaning the subject… if the eyes are included in the image that is where the focus should be. They should be tack sharp. Are you looking on your phone at a photographer’s website? A phone is too small to really see details. Hop on your computer, grab a cup of coffee and a donut and really take a good look. Here is an article illustrating how difficult it is to tell if a small image is focused well. Checking things out on a large screen and up close will be eye-opening! You have probably seen the images in the portfolios of newborn photographers featuring the baby on a blanket, posed in a variety of ways. This is called “bean bag” photography and while it is adorable and I can create this style, I don’t relegate this as my only style of shooting. Some photographers shoot an entire session on a bean bag without other options. Be sure to ask about variety if that is something you are looking for. Some newborn photographers work with backdrops and some do not. You may (elsewhere) receive an entire gallery of images on several different colored blankets in three different poses, the only difference being the color of hat or blanket. If a photographer is coming to your home, they may not bring much variety with them. At our studio, clients can choose from 50+ backdrops and many props, hats, etc. You are not limited by what a photographer brought with them. 3. How does mom look? I encourage a parent/baby set in each newborn session. Now, I know you will have just had a baby and will probably be exhausted. That’s ok. You may not FEEL like being photographed. I absolutely can make you look like you, but a refreshed version of yourself. My newborn/parent images are always from the waist up. We even have lighting tricks that are slimming. This is an important one. ASK how many images will be in your final newborn photography gallery. In many cases, there are only 15-20 images in your final gallery at other studios. Captures in Time Photography averages 35-40 unique poses in each newborn gallery. I also include and black and white version of each for a total of 70-80 images. There are often even more, depending on the baby. When comparing pricing of a set of images, you are almost getting twice as many with our studio. Make sure you are comparing apples to apples when you compare pricing. We have a natural posing style and efficient workflow to get the most out of your newborn session. 5. How do I see or purchase my newborn’s images after the session? Some studios require you to come into the studio a week or two after your session for a viewing appointment. At that time, you will have an hour or two to go through all of the images and decide which you will be ordering.There is nothing wrong with this approach, but it is not my style. We have switched to an all-inclusive format and I consider myself “low pressure” in terms of my sales approach. I am still available for consultations and offer professional printing and many options. 6. Do they share a lot from their sessions on social media? Beware of the photographer who only shows one or two images from their sessions. They may be new and not be getting enough solid work yet. 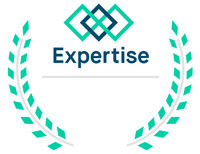 Don’t be a practice client without your knowledge! 7. If you like the look of posed studio images, don’t hire a lifestyle photographer. There are different “genres” of newborn photography. One mistake people make is really wanting a studio session, but hiring a lifestyle photographer because they don’t want to leave the house with baby for a little bit. Lifestyle photography can be AMAZING, but if you are wanting someone to bring you apples and you hire someone who specializes in oranges, chances are you won’t be happy. 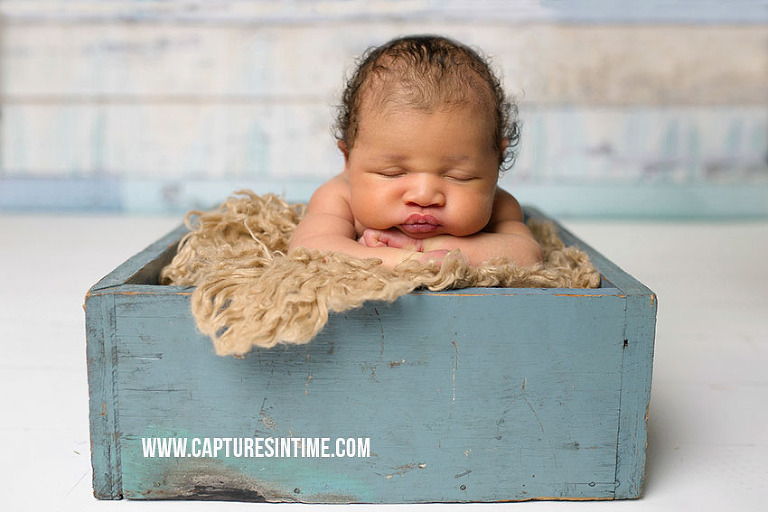 Feel free to give me a call at 816-914-4793 to discuss choosing Captures in Time as your newborn photography studio, I would love to chat with you about creating your baby’s first portraits! Take a look at the options on our investment/booking page as well!